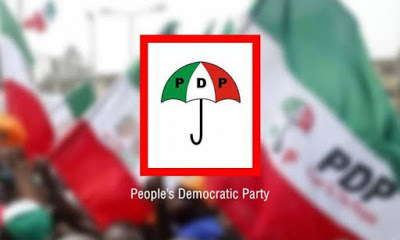 The People's Democratic Party (PDP) in Kwara State wishes to call the attention of security agencies and the general public to the violent tendencies of the opposition All Progressives Congress (APC) in the State. On Saturday, 15 September, we got a report that some rampaging thugs loyal to two different camps in the APC engaged in a fight at one of their campaign offices along Sango road, Ilorin, which resulted in injuries to scores of people including party members and other innocent people. It was gathered that were blood stains at the scene of the attack and the injured people were quickly rushed to the University of Ilorin Teaching Hospital (UITH) for treatment. This is coming barely two days after some political thugs belonging to an APC governorship aspirant unleashed mayhem on some residents and shop owners along major streets of Ilorin including Ibrahim Taiwo road, Sawmill area, Abdulazeez Attah road, Agaka area and Oja-Oba. Shop owners, residents and passers- by had to scamper for safety, as the thugs in their large numbers brandished dangerous weapons, which scared people away. We are not unmindful of the fact that the outrageous cost of nomination forms of the APC is partly responsible for the desperation and show of shame within the fold of the party. An individual who paid over N22million to obtain a nomination form is bound to do everything possible no matter how untoward it is to get the party's ticket. Nonetheless, as a party, we condemn these rampant attacks on innocent citizens by APC thugs and called on security agencies to look into the matter and arrest the perpetrators, as part of efforts to forestall recurrence of such unfortunate incidents. Furthermore, we wish to note that this latest attack shows that APC is a party that breeds hoodlums, and further demonstrates its large-scale violence planned for 2019 general election in the State. It is also instructive to note that in the PDP, we preach and promote unity and brotherliness. We don’t see politics as a desperate game, and aspirants within the party remain friends and brothers under one big family, as it has always been the case in Saraki’s political dynasty. Yesterday around the same time in Kwara North, to the excitement and in full glare of the youths, women elders, and traditional institutions, the campaign teams of two governorship aspirants of the PDP, Hon. Mohammed Zakari and Hon. Aliyu Ahman Pategi bumped into each other along Pategi road. The two aspirants stopped and engaged in a brief chat and wished each other well on the race ahead. The brotherly depositions are seen in all our governorship aspirants and all aspirants for other political offices in PDP. This is due to the exemplary leadership style of the Senate President, Dr Abubakar Bukola Saraki and which is considered sacrosanct by the Hon (Engr) Kola Shittu led State Working Committee of the PDP. We, therefore, urge aspirants in the APC and other political parties in the State to emulate this spirit of sportsmanship as demonstrated by the two gubernatorial aspirants in the PDP. Politicians should not see politics as a do-or-die affair and must shun any act capable of causing unrest in any part of the State. We are confident that Kwarans will reject seasonal politicians who only come to town on the eve of elections to cause unrest and disappear immediately after the elections. This is a clear indication that they do not have the interest of the people at heart, and their only aim is to grab power at all cost. As a party, we understand that all politics is local and we are assured that the good people of Kwara State will continue to support and stand by the leadership of Dr Bukola Saraki, who has always identified with them.